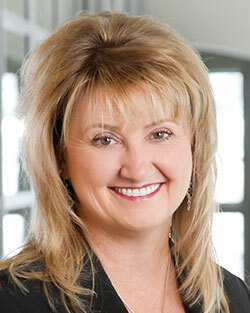 Kim Pearman-Gillman, a Partner with McKinstry and long time leader in Spokane's business and civic communities, has been appointed to Eastern Washington University's Board of Trustees by Governor Jay Inslee, effective immediately for a six-year term. Pearman-Gillman, who is also past chair and current member of the University District Board and executive committee, is a Business Development Executive at McKinstry having joined the company in 2009. She has more than 30 years of senior leadership experience in the private and public sectors, including stints with Itron, Avista Development, Avista Utilities and was on loan to the City of Spokane from Avista to start economic development there. Pearman-Gillman has previously served EWU as a member of the CSTEM Board (2010-2014) and Chair of the Library Advocacy Board (2007-2009). She has worked alongside three EWU presidents as well as many faculty, administrators and students. Each organization is helping address health-related issues that have been identified by Providence as among our communities' greatest needs. Working together, these organizations and Providence are addressing access to mental health and chemical dependency programs, diabetes services, dental care, stable housing, immunizations, and services that help individuals overcome difficult life circumstances that directly impact health such as basic nutritional needs. The 2018 grant recipients were selected based on their ability to address an identified need or gap in services. Providence conducts a Community Health Needs Assessment every three years in order to direct funding to areas where there is the greatest opportunity to make measurable and lasting improvements in the health of the communities it serves. Each year, in addition to community grants and donations, Providence Health Care directs its community benefit contributions to help cover the unfunded portion of Medicaid, provide free and discounted care for patients who are uninsured, underinsured or otherwise unable to pay for their health care, provide funding for health-related education and research, and subsidize health care services that fulfil a critical care need in the community. Spokane Public Radio's Annual Record Sale is this Saturday, February 24 and Sunday, February 25 at the Spokane Valley Event Center, 10514 E Sprague. Hours are Saturday 9am to 5pm and Sunday 11am to 5pm. They will have a great variety of records, CDs, DVDs, tapes and more and will be holding a silent auction filled with classic equipment of every kind. In October 2017, United Van Lines recognized select United Agents for superior dedication to quality service performance. The 2017 Customer Choice Award winners were chosen from 314 participating agencies and presented in seven volume-based categories. Winners were selected based on post-move surveys completed by customers between July 1, 2016 and June 30, 2017. Chipman Moving & Storage was the winner in the Size D category, 200-349 Annual Shipments. 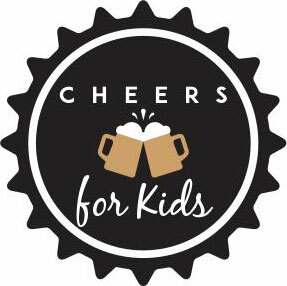 The 2nd Annual Cheers for Kids event, benefiting the Vanessa Behan Crisis Nursery, is scheduled for Friday, April 13 from 6-9pm at the McGinnity Room, 116 W Pacific. The event will include a four course meal and Inland NW beers, while raising money to support the work of the Nursery. Sponsorship opportunities and corporate tables are available. For more information, contact the VBCN Development Director at 509-340-0482. For event tickets, click here. Because There Is Hope's 14th Annual Cinderella Tea & Fashion Show fundraiser is taking place to raise money to provide temporary housing for cancer patients traveling to Spokane for treatment. The Cinderella Tea is this Saturday, February 24 at the Spokane Convention Center from 10:30am to 1pm. Doors will open at 9:30am to view the incredible auction and raffle items. Coffee, tea and scones will be offered before the program starts. Lunch will be served. Tickets are $40. The Tea is open to the public. For more information or to purchase tickets visit: www.becausethereishope.org/events. 'Opportunity for Healing' a Mind Body Spirit Holistic Fair is this Saturday, February 24 from 10am-5pm at the Unity Spiritual Center, 29th and Bernard. 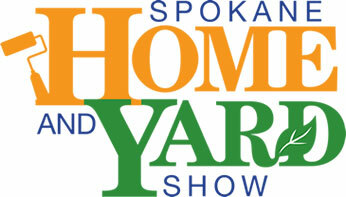 This free event features 40 vendors and 9 educational presentations. Food and Coffee Bar available. The mission statement of these fairs is to facilitate healing awareness in our community. They aspire to help people realize the possibility of living a more holistic and sustainable lifestyle. The holistic fair will promote awareness of lifestyle issues such as health, nutrition, exercise, relaxation, art, mental attitudes, the environment, and interdependence of small businesses.